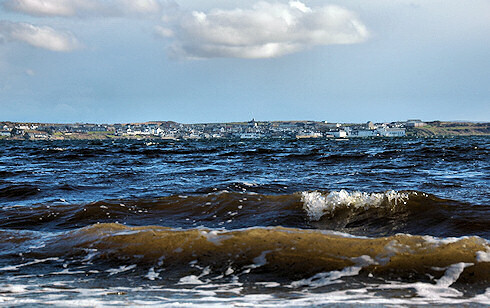 This is my only partly successful attempt of an ‘artistic’ picture of Bowmore seen across Loch Indaal. It works slightly better in big, so try the Islay Pictures photoblog from Saturday morning, as usual the larger version (larger as in more than twice as big) will be posted there in a couple of hours. With that I'm saying good night for now, have a great (bank holiday) weekend, whereever you are and whatever the weather!